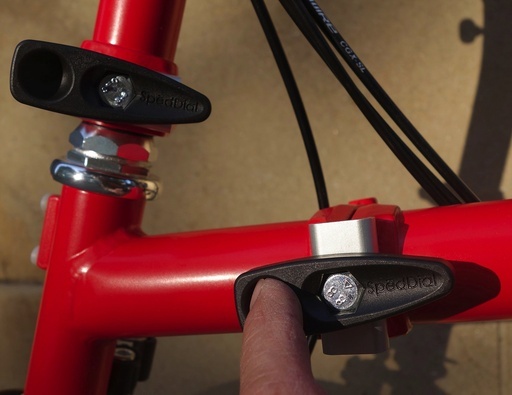 Better than Brompton’s stock clamps in at least 4 significant ways, speeding the fold/unfold process enough to add up to several minutes of non-fiddly time to your natural lifespan. 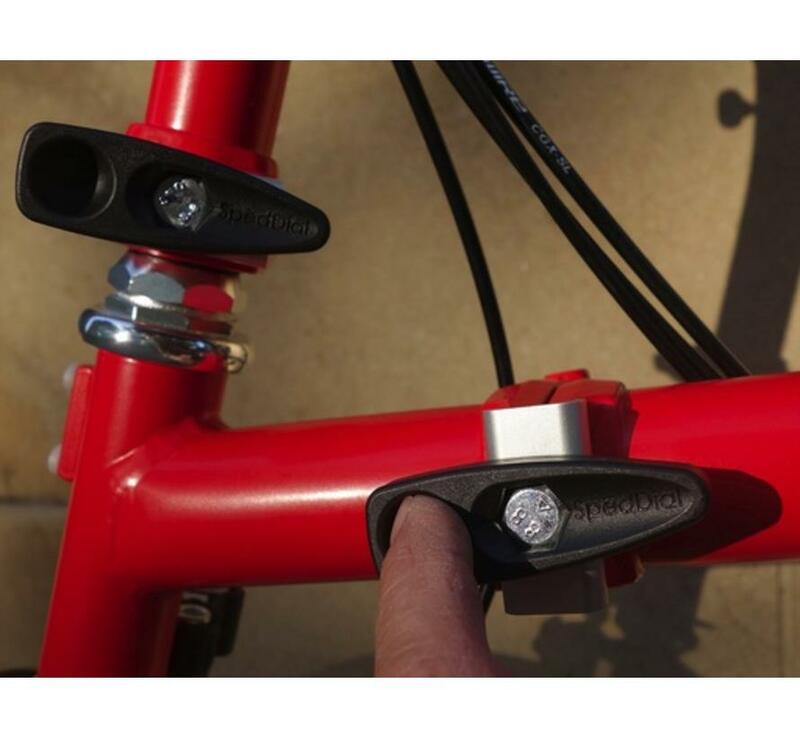 Great gift for any Brompton owner. 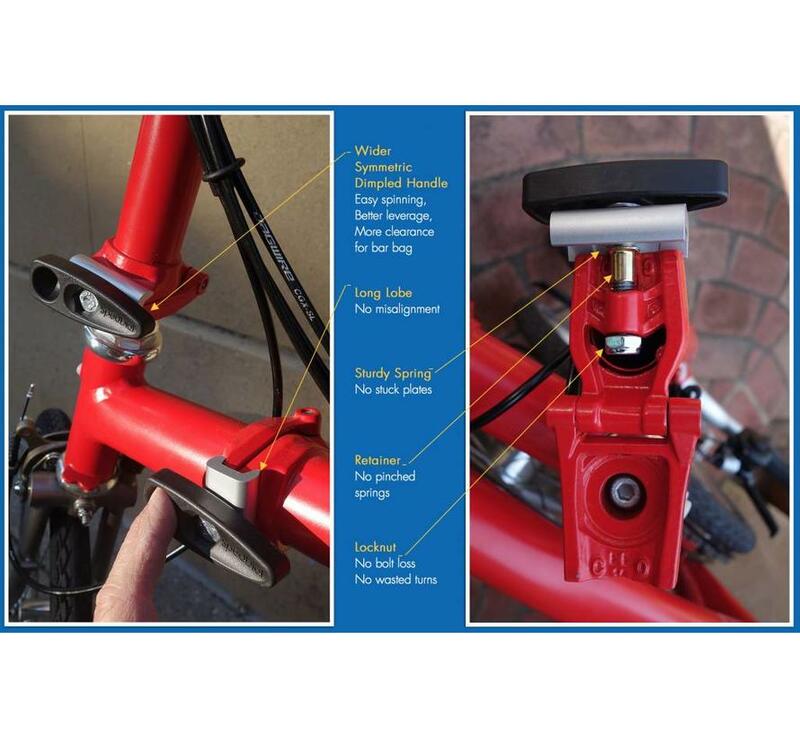 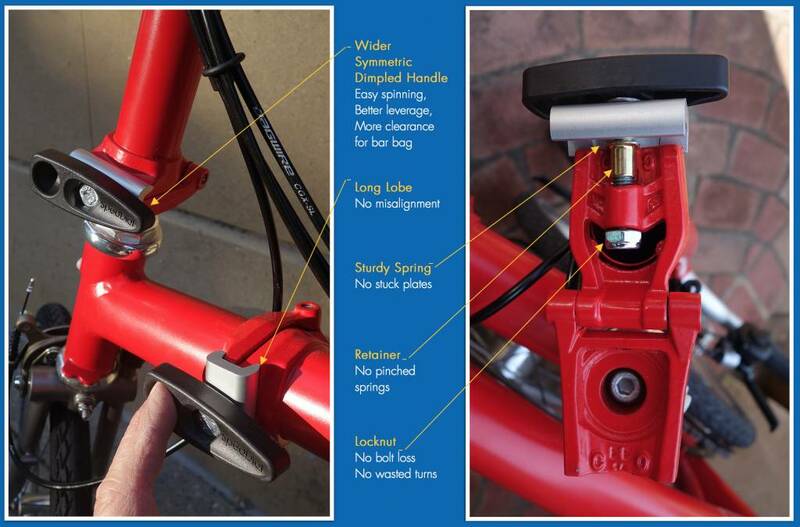 Speed up fold and unfolding your Brompton!